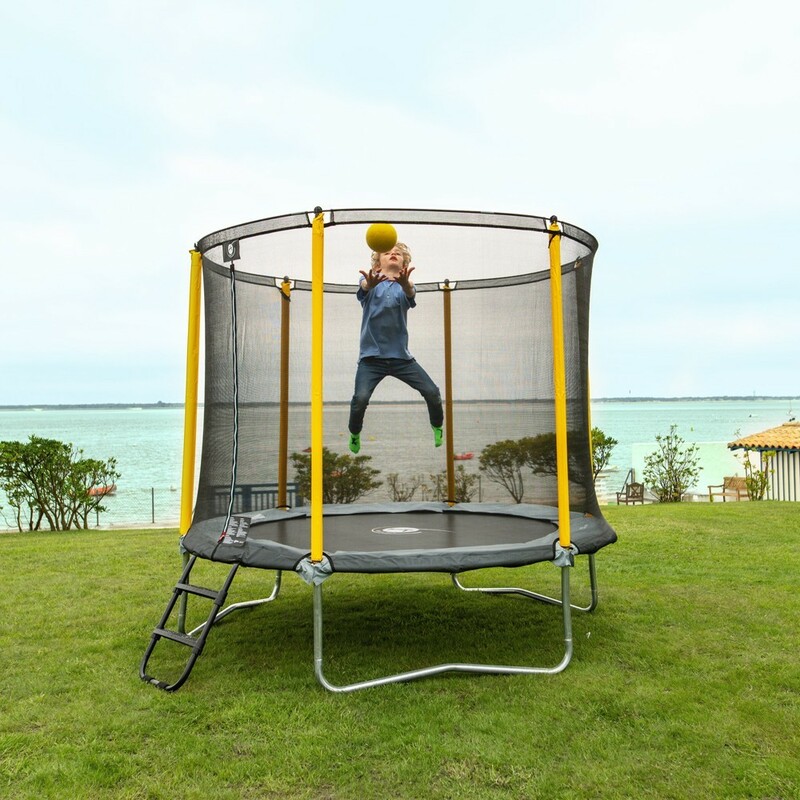 Your child's first leisure trampoline, with a 3m diameter and an excellent value for money. 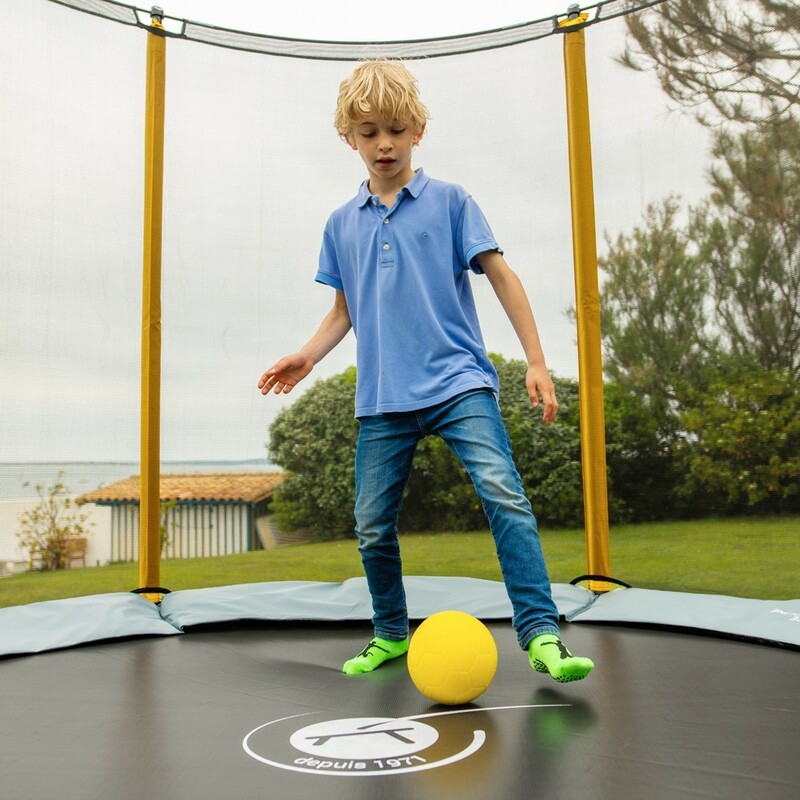 Our new range of Initio trampolines has been specially designed to introduce children to the pleasure of trampolining while remaining a product with excellent value for money. 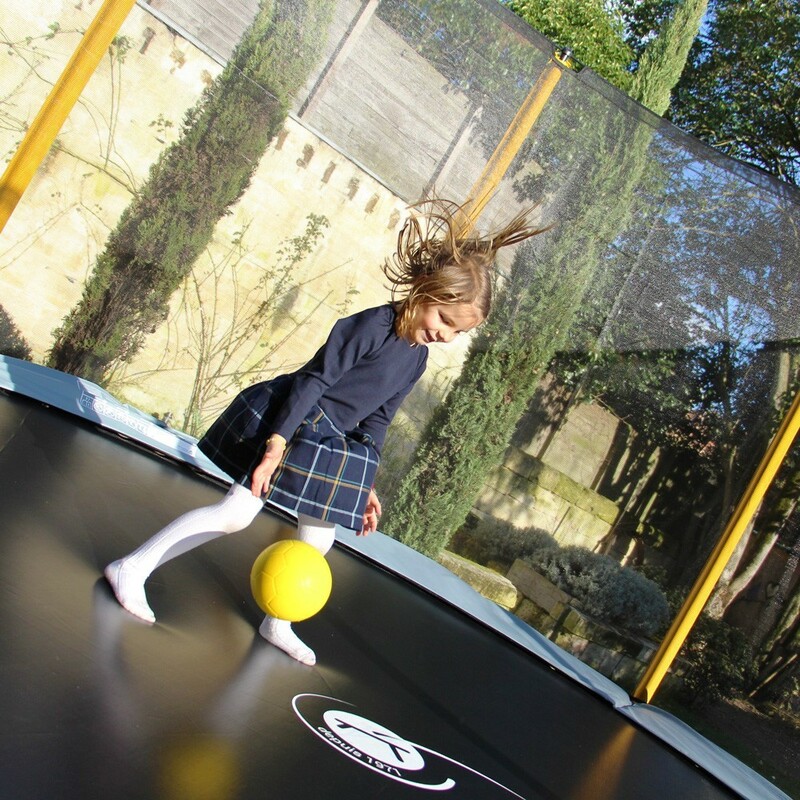 Its funky colours stand out from other trampolines on the market. 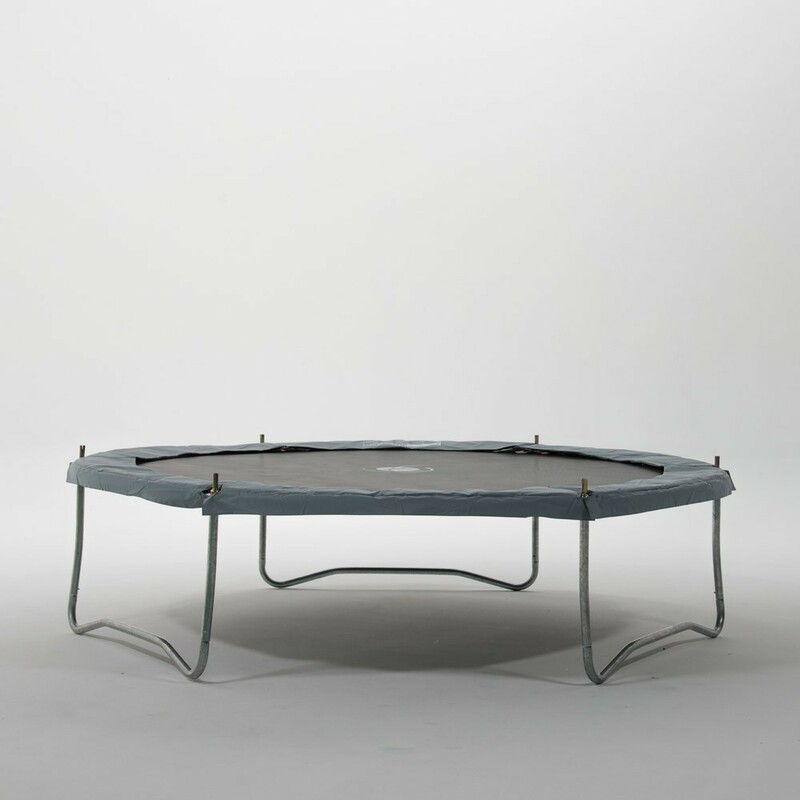 - This round trampoline with a diameter of 3m can fit in medium sized gardens. 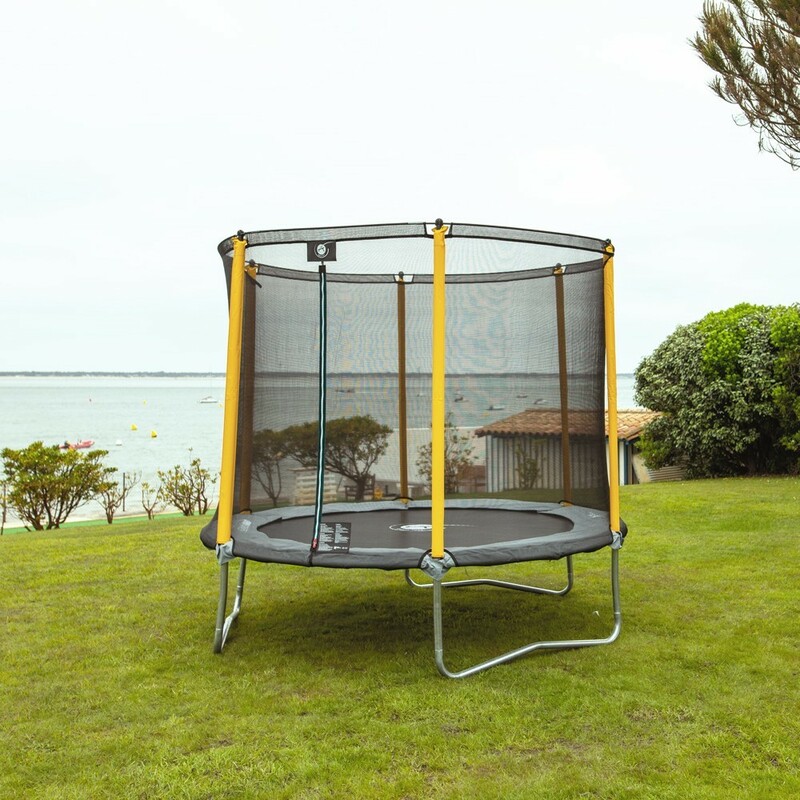 It provides a spacious jumping area for your jumpers. 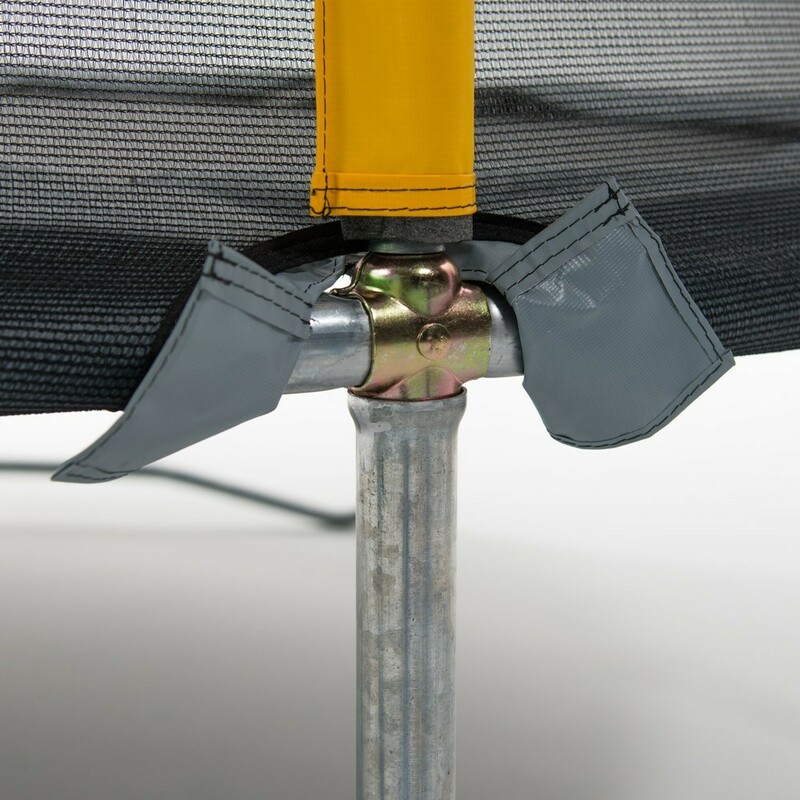 - Its framework is made from hot dip galvanised steel, allowing an optimal resistance to moisture and cold. 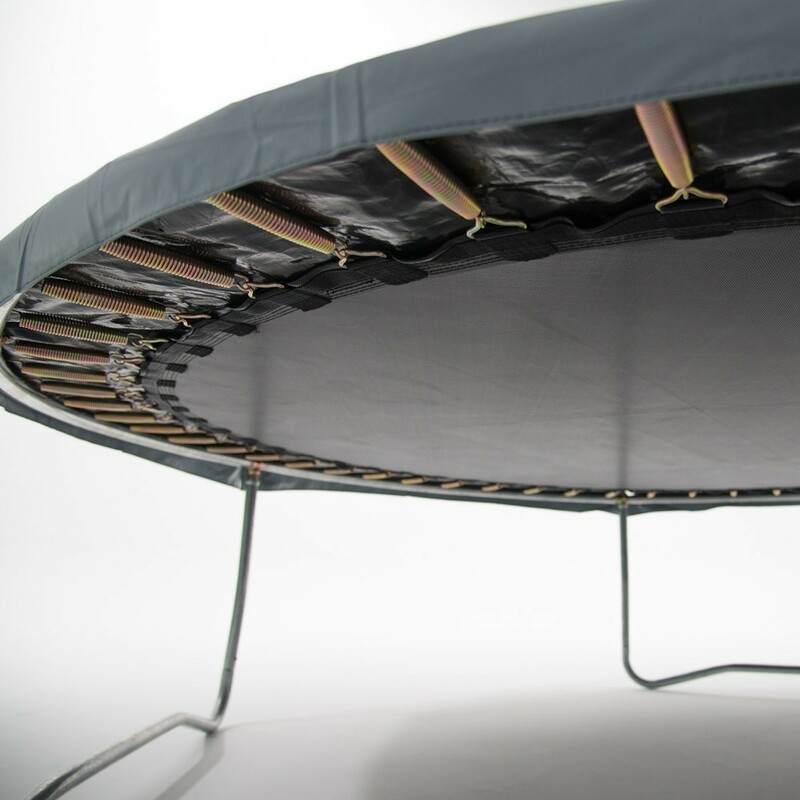 You can leave your trampoline outdoors all year round. 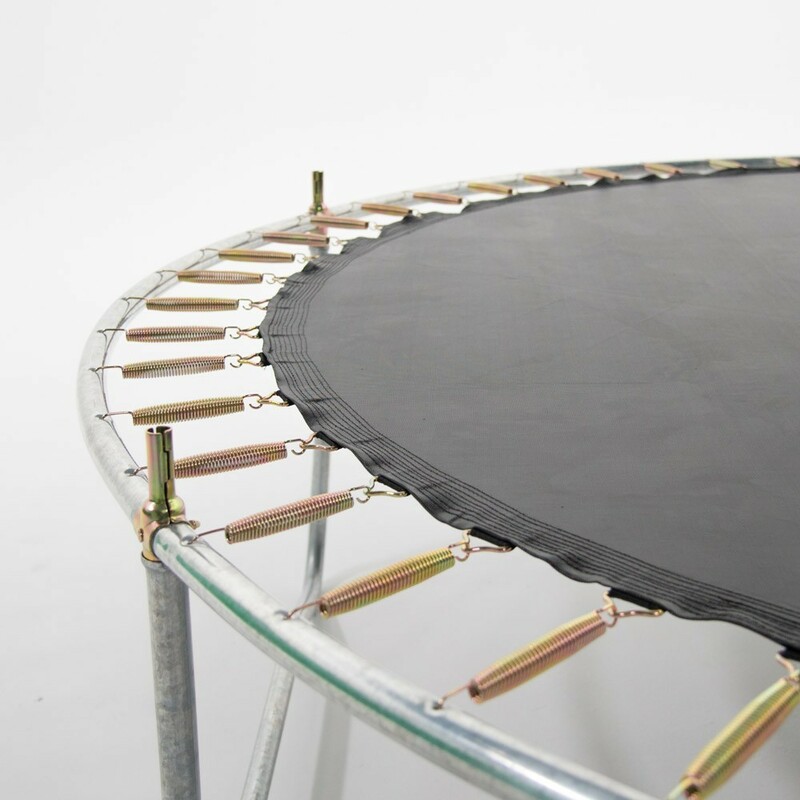 The robustness of the trampoline is guaranteed by the thickness of the steel tubes (1.2mm and 38mm Ø). 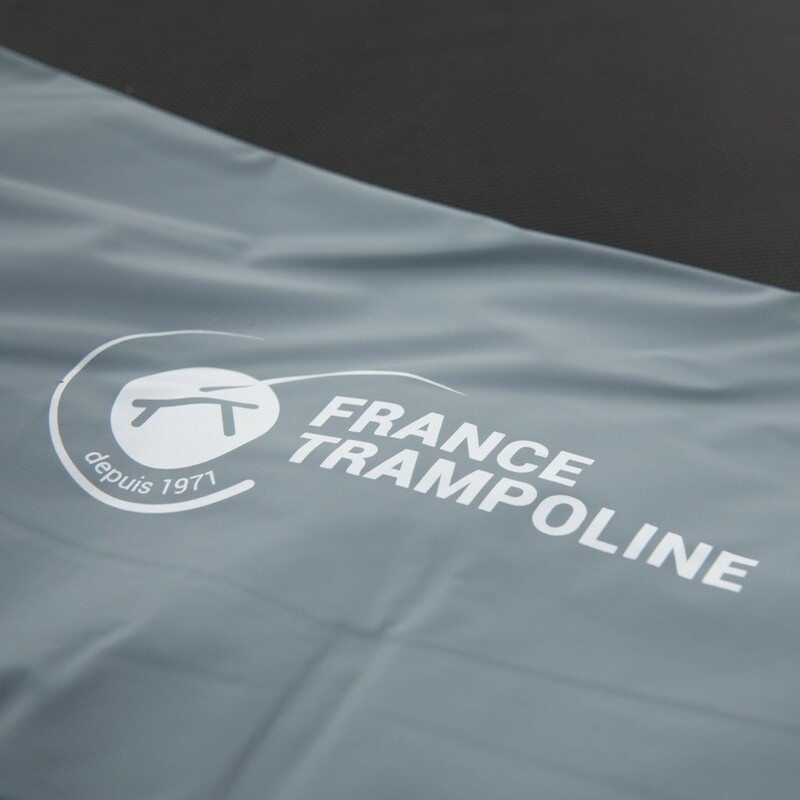 - The framework of the trampoline is put together with X junction components, a France Trampoline novelty, that allows to securely hold the tubes together and also facilitates the assembly of your purchase. 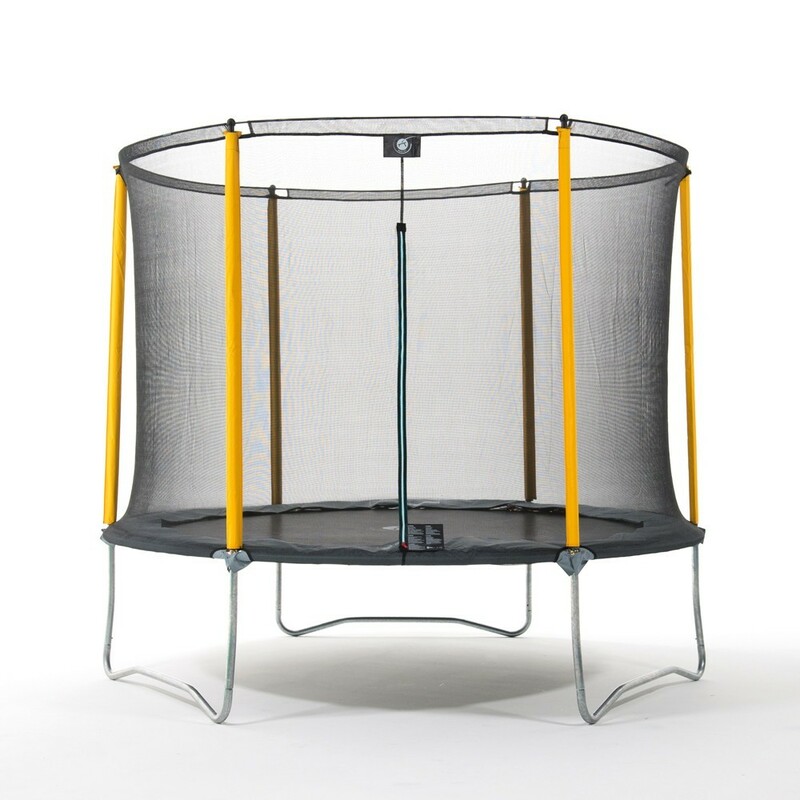 - Its 54 springs of 165mm will allow your little jumpers to various flexible jumps. 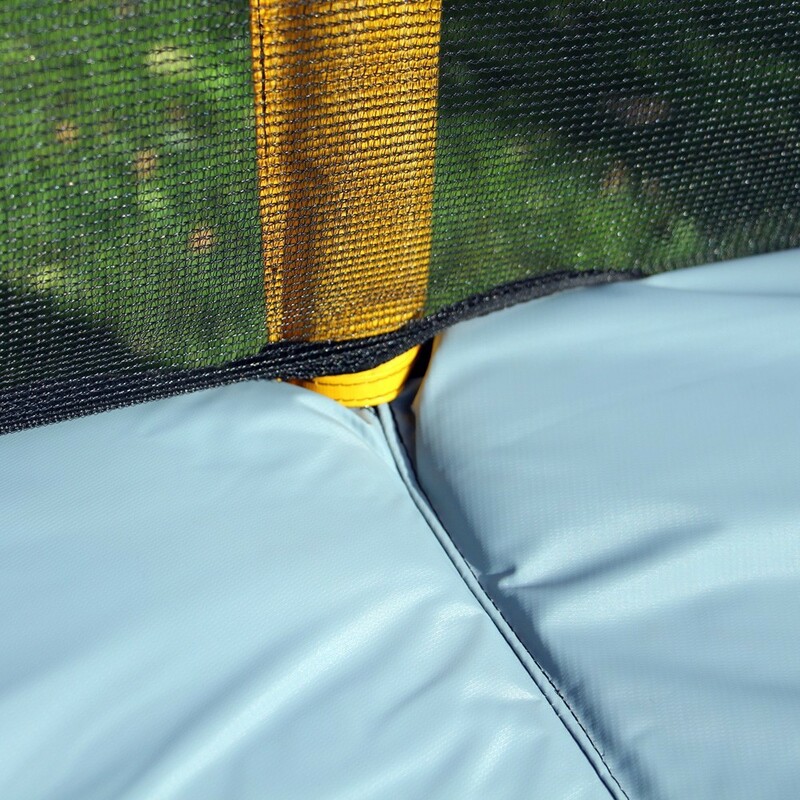 - The protective frame pad is composed of high density foam strips and covers the entire spring area, protecting jumpers from falls outside of the jumping mat. 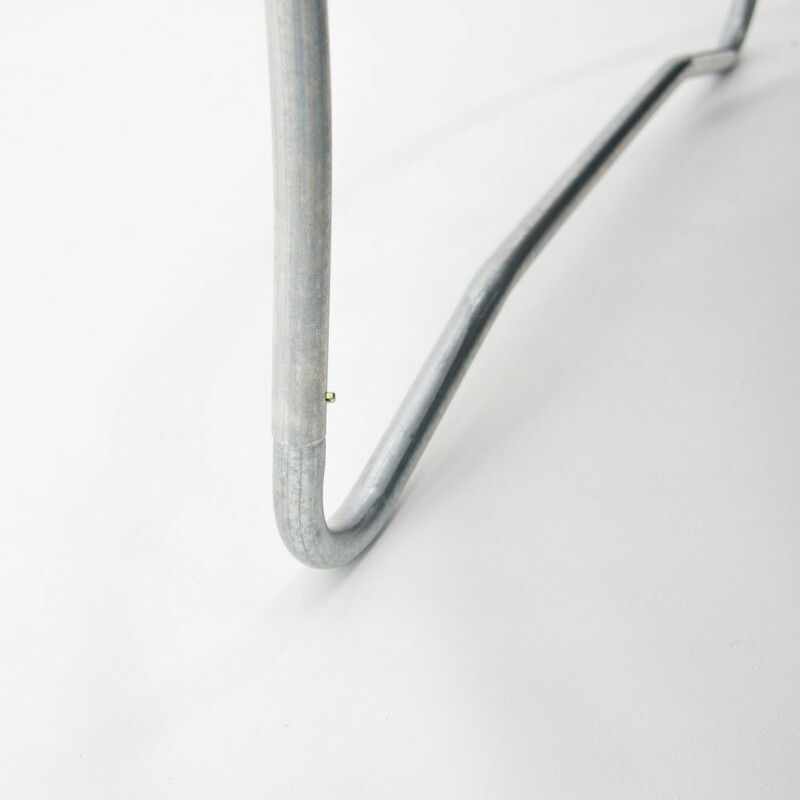 It is entirely covered with a thick grey PVC. 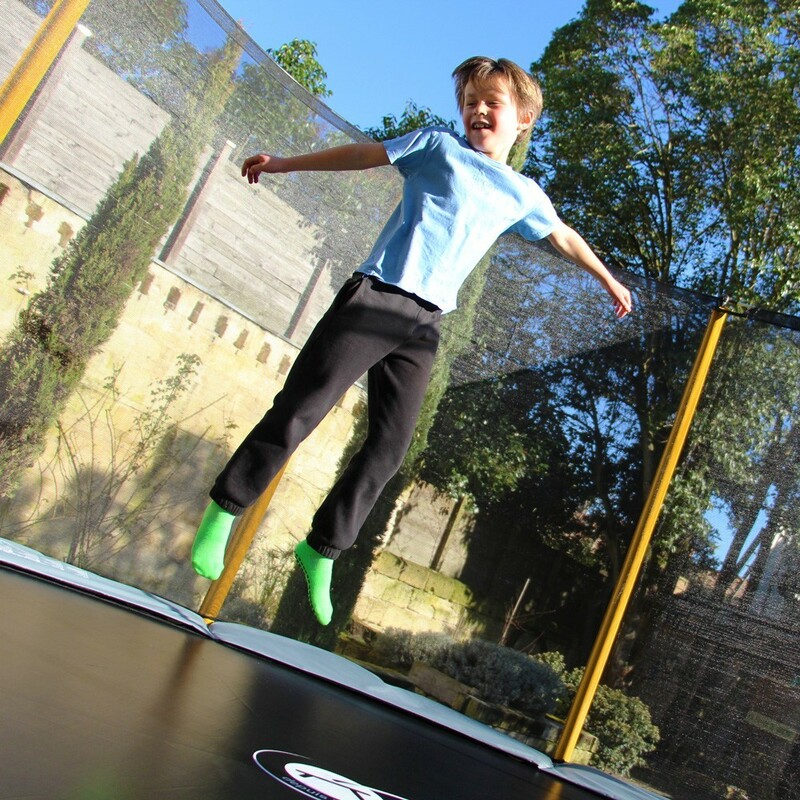 - The mesh jumping mat is entirely treated against UV rays and is reinforced by 8 rows of stitching and an additional strengthening strip. 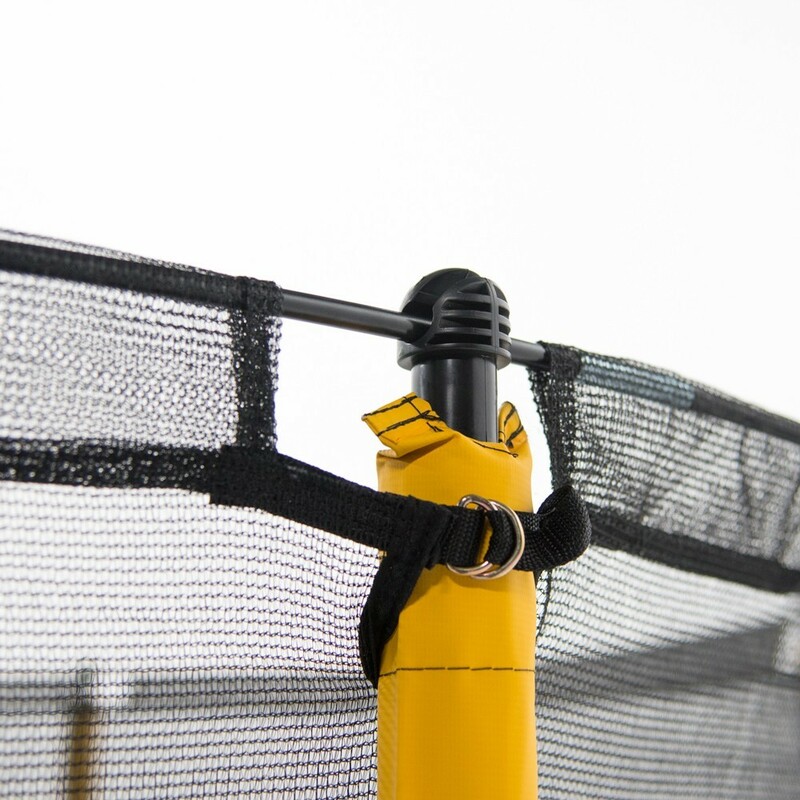 - The safety enclosure netting relies on 6 posts that are covered in yellow foam sleeves. 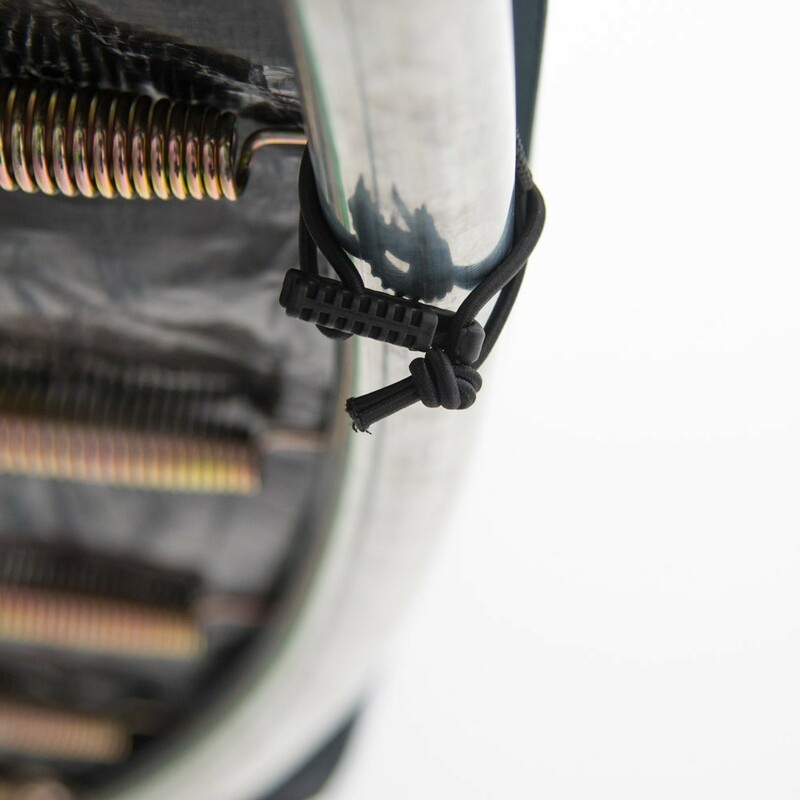 The netting is held with fiberglass arcs at the top of the structure and tensioners with hooks at the bottom. 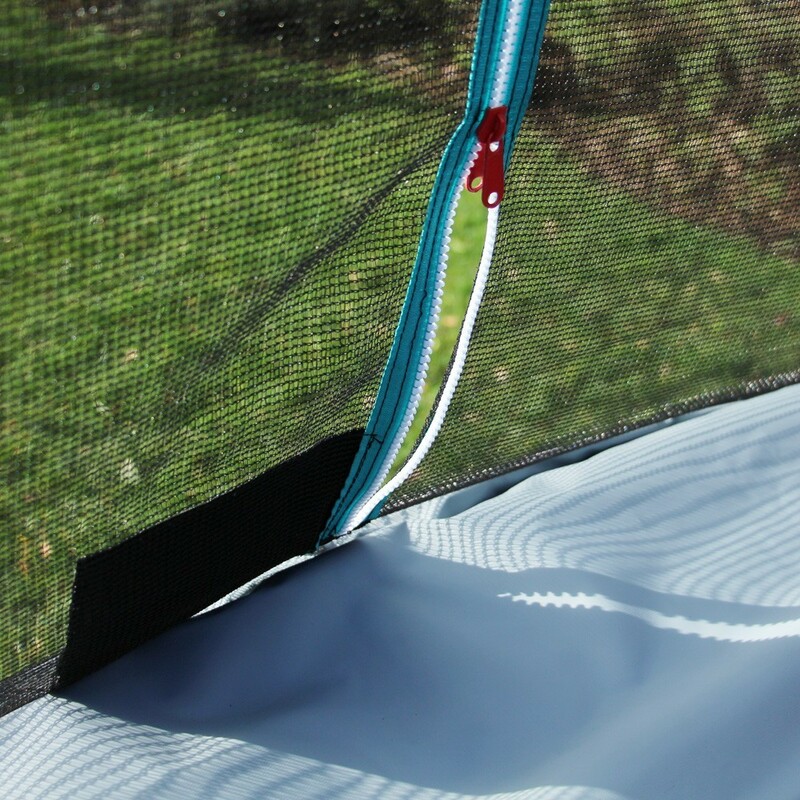 There are no risks of getting fingers caught in the net as it is made of an extremely fine polyester. 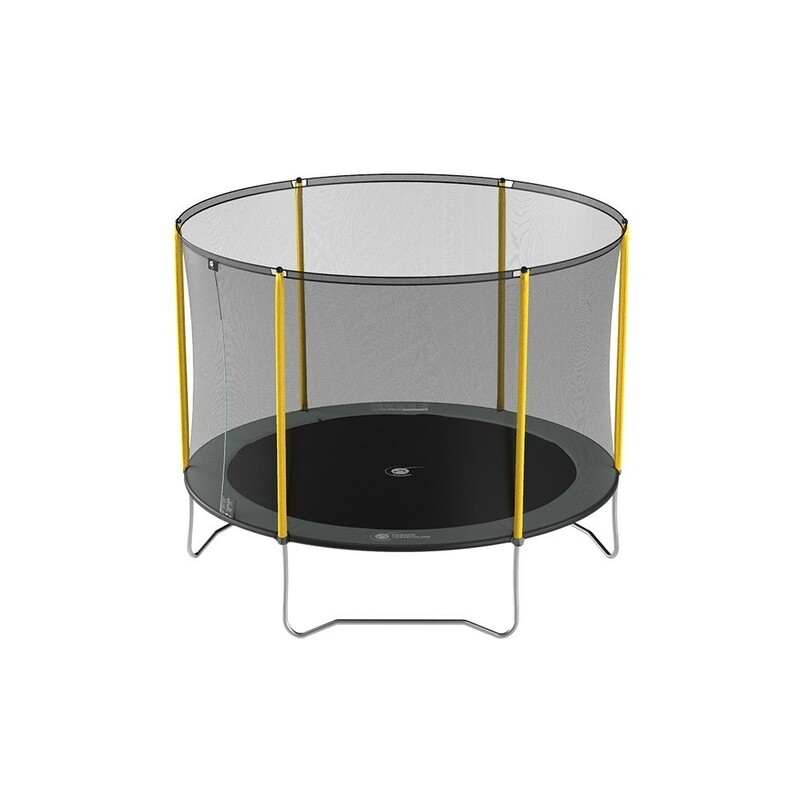 Entry to the trampoline is via a vertical zipped double door. 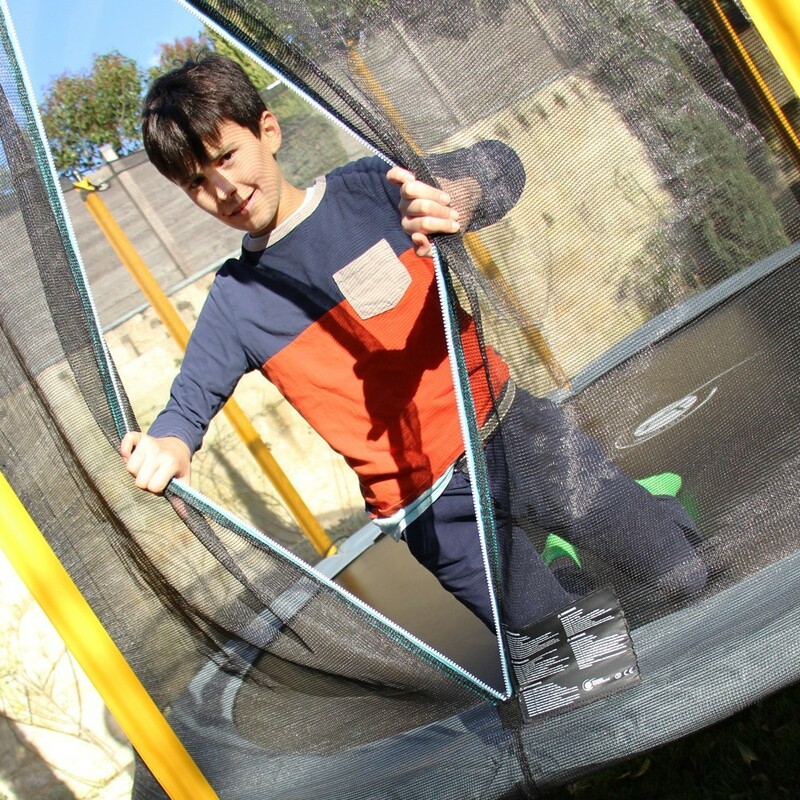 Facile a monter a deux.qualité prix satisfaisant. Parfait! 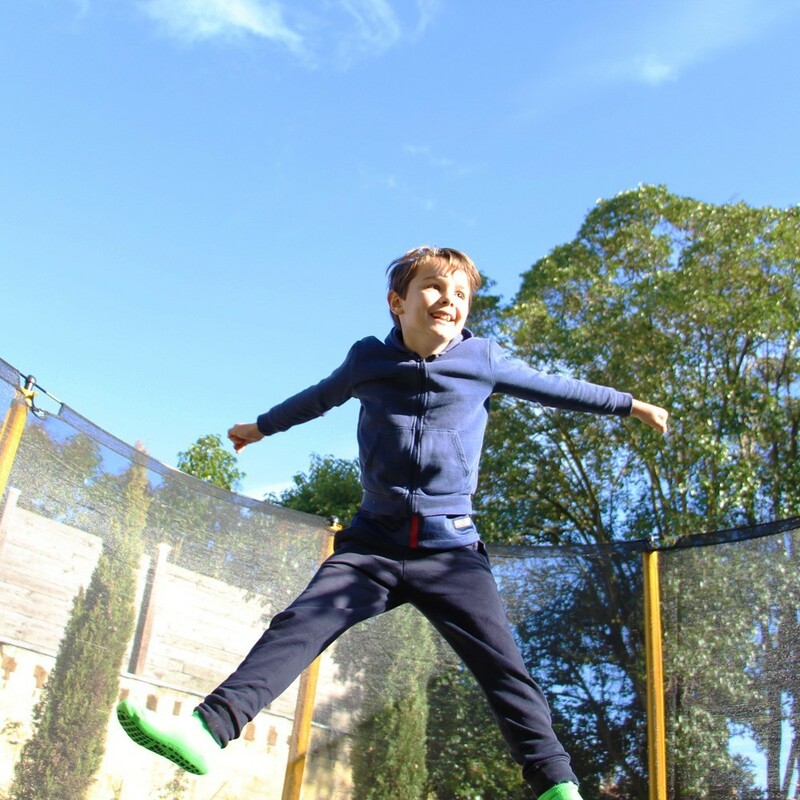 Les enfants sont ravis et moi aussi! montage facile et ça a l'air costaud. 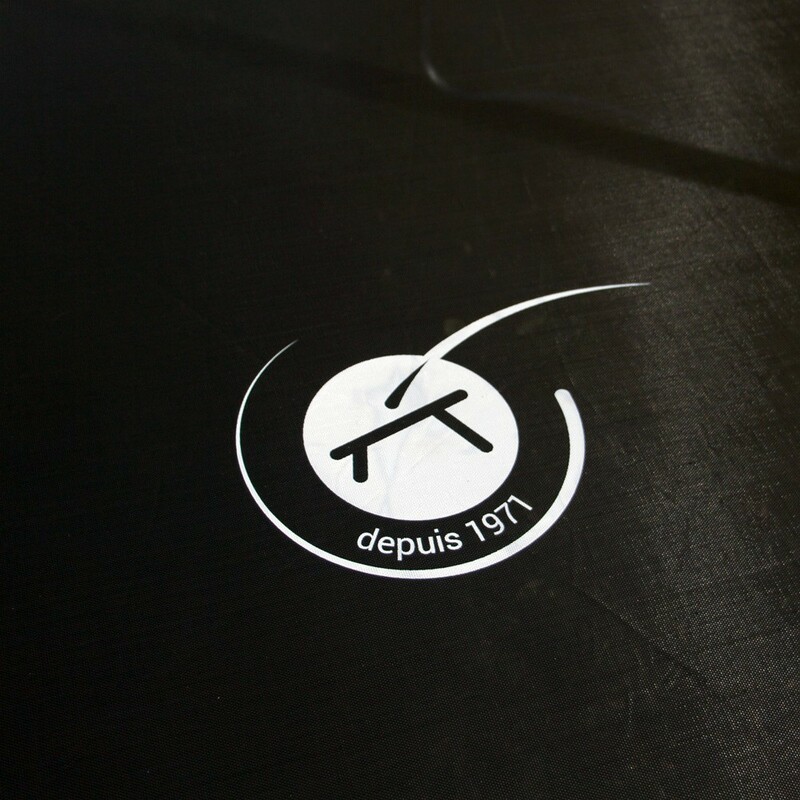 à voir à l'usage.